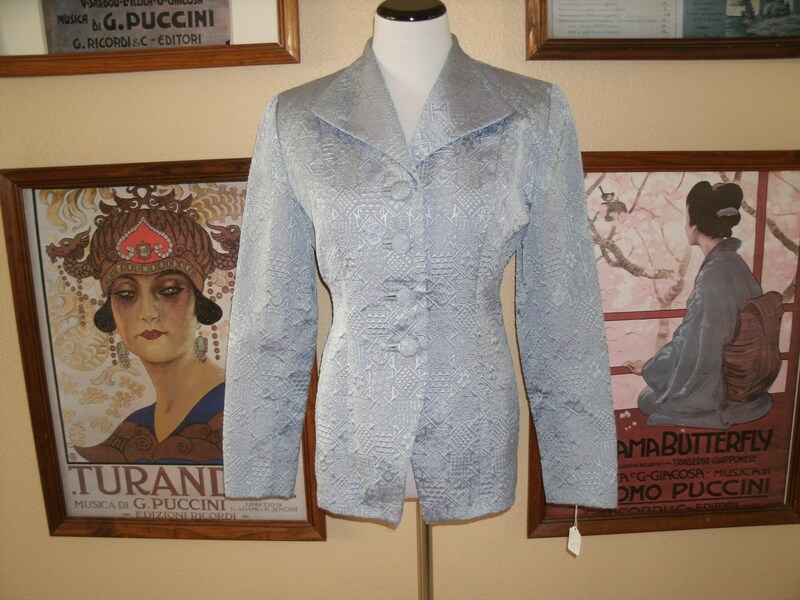 Lovely Madrigano Pale Blue Brocade Jacket,Size 4,Made in USA. 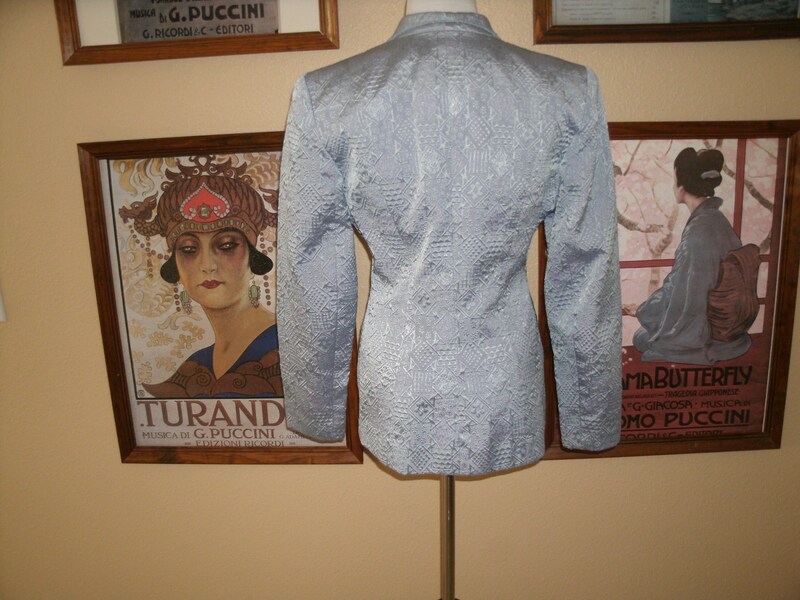 This is a beautiful brocade pale blue jacket that has a fitted waistline.four button front enclosure and is fully lined.The label reads Madrigano Suits Paris New York Milan,size 4,made in the USA. 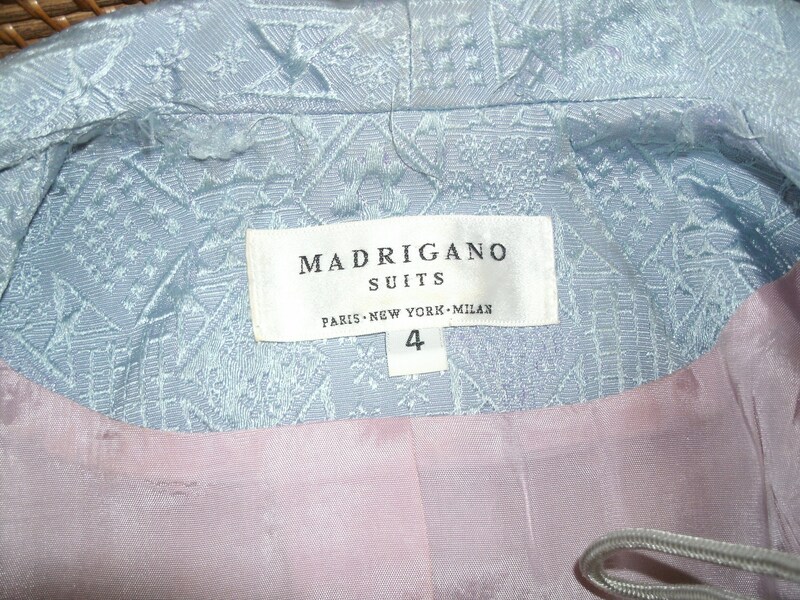 The item is in very good/excellent condition. 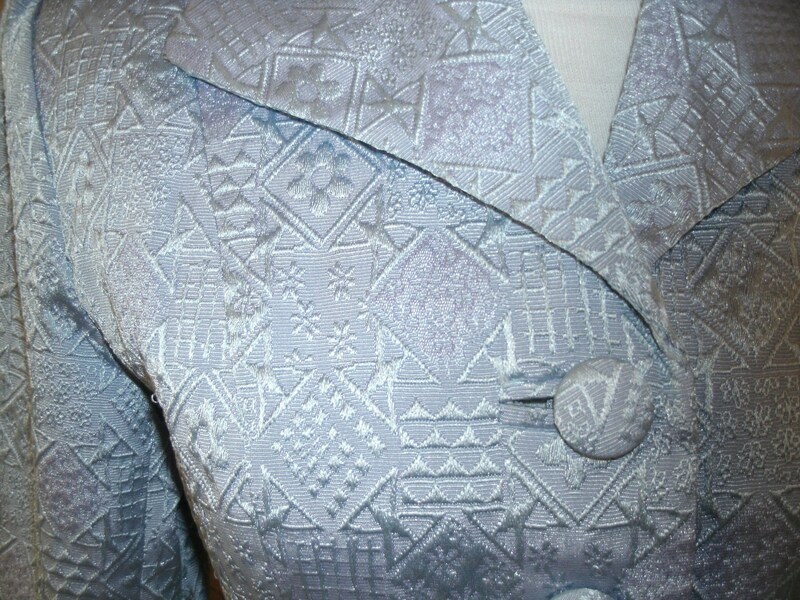 All items are cleaned and kept in a smoke-free home. 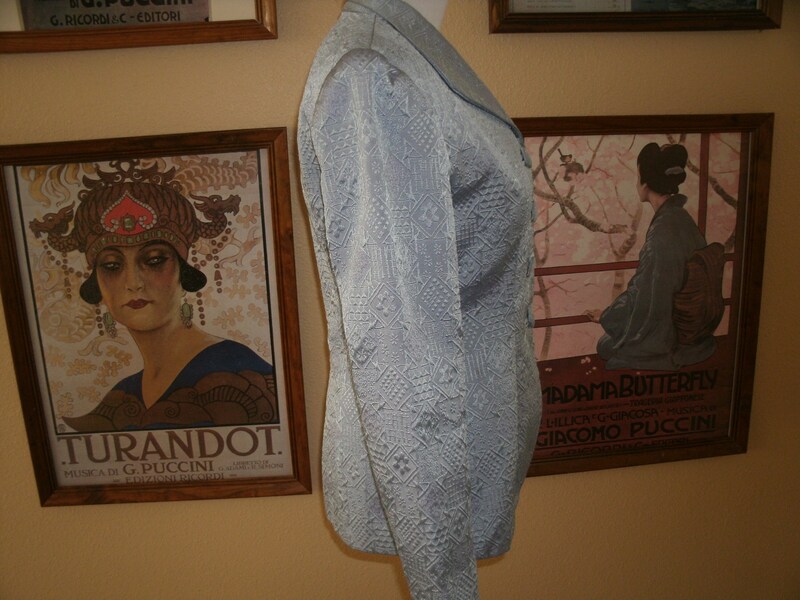 As with many vintage items, there may be slight spots or wear but anything major will be in description of item..